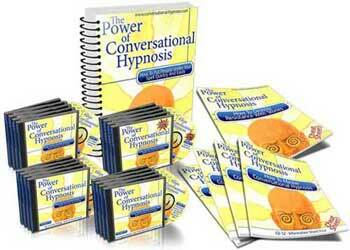 The art of Conversational Hypnosis is much about language; the ways you use the language, when to use certain skills and how to apply those skills. All of these factors are important to learning how to have a smooth interaction and insert undetected and agreeable suggestions into the mind of your clients. Stealth Tactics are a way of doing just this. These tactics are used for distracting critical factor or overwhelming it to the point that the suggestion goes in undetected. The stealth tactics you learn here will eventually be combined with all the other language concepts to create a larger picture of how everything works together smoothly to create better lives for everyone. The final Stealth Tactic you are going to learn is called Binds and Double Binds. The Bind and Double Bind come from a line of thought called the Double Bind Theory of Schizophrenia. This was a theory that came from a famous Anthropologist in the 1970’s named Gregory Bateson. Bateson investigated the cause of schizophrenia in our society and came up with the Double Bind Theory of Schizophrenia. This theory came to the conclusion that schizophrenia was a way that children developed to cope when presented impossible decisions by their parents. An example would be a parent that beats their child and explains it by saying the violence is just a way I show I love you. The child is presented with an impossible choice that of a desire to be loved by their parent versus the desire to avoid violence. The study concluded that this impossible choice caused schizophrenic conditions in children presented with these choices. So the question comes, how will schizophrenia help you in your hypnosis? The answer is the creation of binds and double binds. As we have just set out a bind is giving someone a choice that doesn’t actually exist, it is an impossible set of choices to choose from. These of course can create some rather unpleasant experiences if you do not proceed correctly with this concept. Although you are creating the illusion of choice you are not really giving the person you are conversing with a real choice. When you learn to do binds correctly you will make your listener feel empowered by the fact that there is a choice and still be acquiring the information or lack of resistance you initially wanted. This is a way of redirecting resistance in you are giving a choice that implies the very thing you want but gives them a choice about the thing you want. Either way you are getting what you want, it really doesn’t matter which option they end up choosing. Now in a double bind you will use the word “or” to create the actual double bind. Let’s take the example that you are a jewelry sales person and you say to a customer, “Would you like your diamond set in gold OR silver?” In this double bind you are giving the customer a choice but you are still implying that the customer will be buying the diamond. It is important that you are aware of the word “or” so you can consciously create double binds as well as notice when they are being used on you. If you recognize when someone is using a double bind on you, once you recognize it there is a way out. If you decide not to accept the bind or double bind on any level you will be denying it and creating a new freedom for yourself. Now double binds are very common and at times it is not negative to fall into one. Regardless of whether you are deciding to accept or deny the double binds you hear daily you can still maintain awareness for them. Remember that a double bind is an illustration of choice, usually using the word or to separate the options. Within this Stealth Tactic there is a Special Tactic included called Conscious-Unconscious Double Binds. This is merely a way of using double binds hypnotically. In this concept you will be able to allow some aspects of the subject’s behavior to be controlled consciously and others unconsciously. No matter which way it goes, which behaviors are being consciously and unconsciously controlled the behavior is still being implied. Within this same concept of Conscious-Unconscious Double Binds it is important to understand that you can do things two different ways. We can all do things two different ways, those are unconsciously or consciously. You can read the words on this paper focus on them and think about them or you can read them and daydream about what it would be like to put them into action. In understanding binds and double binds it is important to recognize the conscious and unconscious minds and how they work. As hypnotists we work with the conscious and unconscious minds on a regular and consistent basis, however defining these is difficult. Now the trouble here is no one really knows how the human mind works. There is no philosopher or psychological researchers who have been able to define the human mind in concrete terms. There are so many ways to interpret the word mind that giving it a definition is extremely difficult. Although no one can accurately and concretely say what actually happens inside our heads we know from life experience that certain results come from certain effects. As to why the results are what they are can only be theorized about but we know that trauma causes pain, denial and other defense mechanisms. As hypnotists it is important for you to have an understanding of the conscious and unconscious minds. A simple way to describe the process of the mind we know are that consciousness is the type of awareness you can focus on. It is known that the conscious mind can hold up to 5-9 ideas, experiences or thought processes at one time. The conscious mind is also responsible for making choices and plans. The unconscious mind however is responsible for a huge amount of tasks. It holds all our memories, experiences, insights, habits and wisdoms that we have built up over the span of our lives. We have discovered that it is safe to say that everything that happens within our minds and bodies are unconscious or semi-unconscious events. Our unconscious is the master controller but will also take commands from the conscious mind. The instructions that the unconscious will take from the conscious must be presented in the right way in order for it to stick; this is the art of suggestion. We either made suggestions to ourselves or others make suggestions to us. As a hypnotist you can disguise those suggestions with Stealth Tactics, and one of those is the bind and the double bind we have discussed here.